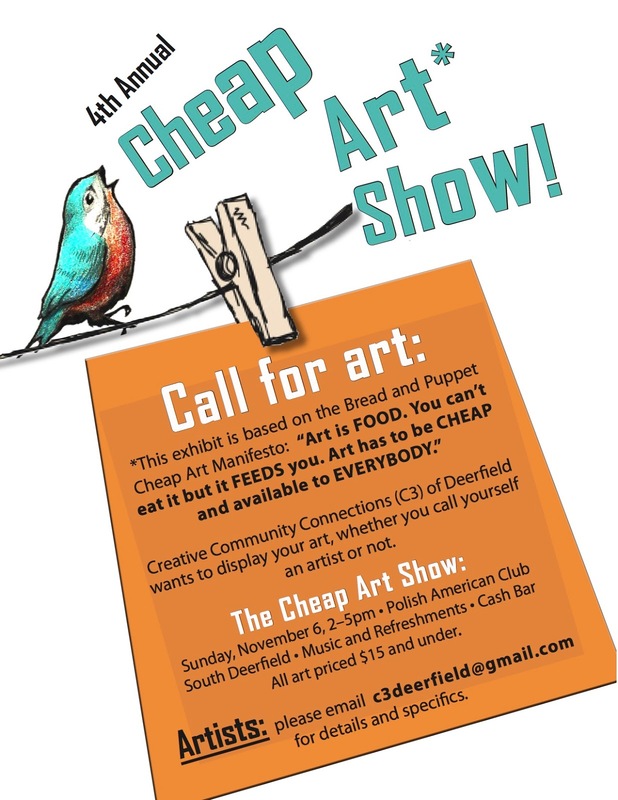 CALL FOR ART: The 2016 CHEAP ART SHOW is produced by Creative Community Connections (C3) and will be on Sunday November 6 from 2-5pm at the Polish American Club at 46 South Main St in South Deerfield. This is a one day show that celebrates financial accessibility to art and is based on the Bread and Puppet Cheap Art Manifesto. Feel free to bring originals, or you could bring small works, seconds, mistakes, color copies, or work that has been hanging around your studio forever and you would like to move out. We always get a great turn out and the art sells fast.